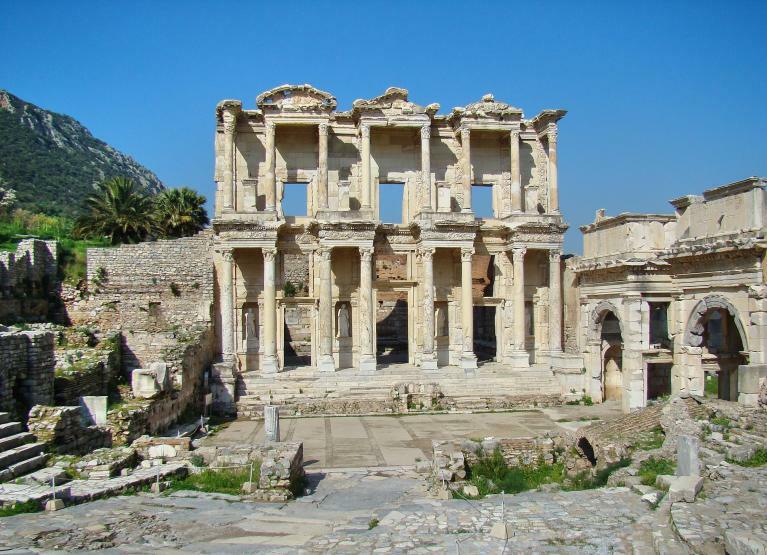 One of the more impressive sites at Ephesus is the Celsus Library. 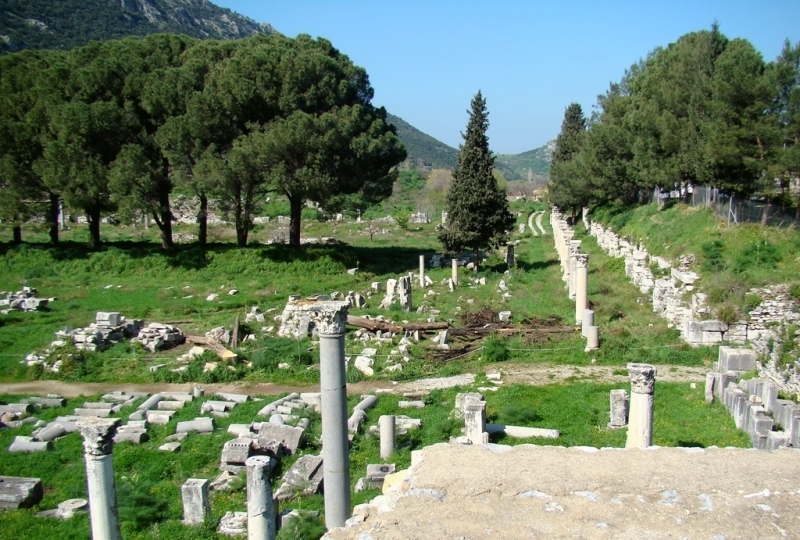 It was originally built in A.D. 110, by Consul Gaius Julius Aquila, in honor of his father, Gaius Julius Celsu Polemaeanus, governor of Asia A.D. 105-107. Next we look at the commercial agora (market place), where the craftsmen, including silversmiths and others, would have had their shops. One lesson which continues to be reinforced as we visit biblical sites is the reliability of the scriptures. Always remember that the Bible deals with real people, real places, and real events. The Bible is fact, not fiction! This entry was posted on Thursday, April 15th, 2010 at 8:52 PM and is filed under Bible History and Geography. You can follow any responses to this entry through the RSS 2.0 feed. You can leave a response, or trackback from your own site.